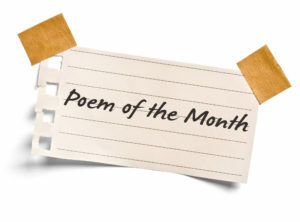 Poem of the Day, April 28: Writing My Escape, Robb Jackson | Welcome to the new Journalverse! Living on the Hurricane Coast contains poems, arranged in five sections, that stem from Robb Jackson’s transition from his northern roots to South Texas. The poems originate from Jackson’s daily journal writing and are informed by close observation of the place he called home, Corpus Christi and the surrounding Coastal Bend of the Gulf of Mexico, including Padre Island. 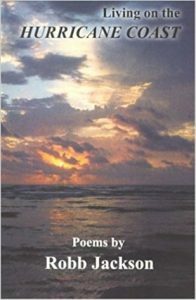 These are poems that create a vivid sense of place and of place transformed by seasons, weather, storms, and light. They trace also the ways in which we can be changed and affected by our natural environs, especially if, like Robb, we take the time to look at and give voice to what surrounds us. Robb Jackson, originally from Huron, Ohio, and transplanted to Corpus Christi, Texas, died on February 23, 2013, from complications of open-heart surgery. He was sixty years old. Robb was my dear friend and soul brother who was one of my closest confidants and advisors. He was instrumental in the creation of the Therapeutic Writing Institute in 2008 and headed the editorial review board for my 10-book series on expressive writing. (He died just a few months before the first three books came out.) We met when he asked me to be his mentor/supervisor in his poetry therapy studies. He was an exemplary trainee who taught me at least as much as I taught him, and it was a true pleasure to support his credentials training. He was awarded the certified applied poetry facilitator (CAPF) credential in 2005.
swish their tails at words muttered first in huisache. flitter butterflies, humid breezes wave tall grass. the next thought zips away far distant, north by east. logs I’ve split myself to warm my thoughts. tilting times. Their spin is compass true. with its light the penalties my exile gathers. Write about a place you take yourself to–real or imagined–when the world “is too much with you” (Wordsworth).